The National Institutes of Health estimates that sleep-related problems affect 50 to 70 million Americans of all ages and socioeconomic classes. 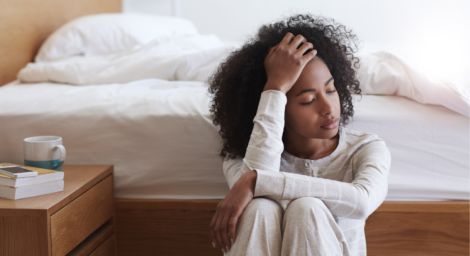 Sleep disorders are common in both men and women; however, important disparities in prevalence and severity of certain sleep disorders have been identified in minorities and underserved populations. The cumulative effects of sleep loss and sleep disorders represent an under-recognized public health problem and have been associated with a wide range of health consequences including hypertension, diabetes, obesity, depression, heart attack, stroke, and at-risk behaviors – all of which represent long-term targets of the Department of Health and Human Services (HHS) and other public health agencies. Everyone needs sleep, along with food, water and oxygen, to survive. Sleep is a vital indicator of overall health and well-being. We spend up to one-third of our lives asleep and the overall state of our “sleep health” remains an essential question throughout our lifespan. The way you feel when you’re awake depends in part on what happens while you’re sleeping. During sleep, your body is working to support healthy brain function and maintain your physical health. In children and teens, sleep also helps support growth and development. The damage from sleep deficiency can occur in an instant (such as an automobile accident), or it can harm you over time. Ongoing sleep deficiency can raise your risk for some chronic health problems. It can also affect how well you think, react, work, learn and get along with others. Talk to your doctor if you often feel sleepy during the day, don’t wake up feeling refreshed and alert, or are having trouble adapting to shift work. To help your doctor, consider keeping a sleep diary for a couple of weeks. Write down when you go to sleep, wake up, and take naps. To learn more or schedule an appointment with a physician, call (702) 366-1655.